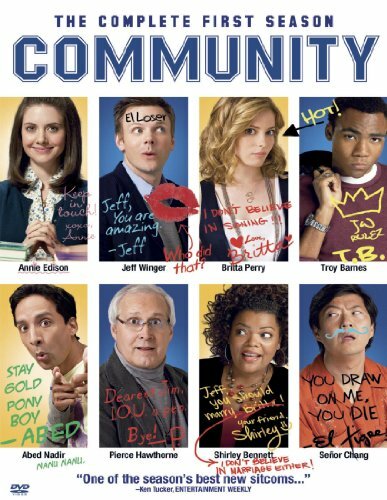 Order ‘Community: The Complete First Season’ starring Alison Brie by clicking the DVD cover above! Alison Brie is a supporting actress on two hit series—“Community” on NBC and “Mad Men” on AMC. Not bad for a young woman whose previous acting resume is still thin enough as to include performances in community theatre shows at a Jewish Community Center in Southern California. And don’t get me wrong—I’m not knocking those credits—it’s a testament to how, when it’s your time in Hollywood, the knocks on the door can come fast and furious. Her big break came in the first season of “Mad Men,” on which she plays “Trudy Campbell,” wife of ambitious silver spooner Pete Campbell. Pete hasn’t quite figured out married life yet—from making babies to staying away from women who are not his wife—but that hasn’t stopped Trudy from stealing most every scene she is in, including her final moment of season three. As for “Community,” Alison plays “Annie,” the baby-faced, sometimes raw community college student who is desperately trying to fit in with the show’s band of oddball, somewhat older and more experienced characters. The new NBC show took a few weeks to get its voice, but “Community” absolutely deserves the “Must See TV” tag and is funny from the first to the last minute of each new episode. It deserved a recent full-season pickup from the network and move to anchoring Thursdays night at 8 p.m. I am a big fan of her. I have seen all the episodes of Mad Man on AMC.